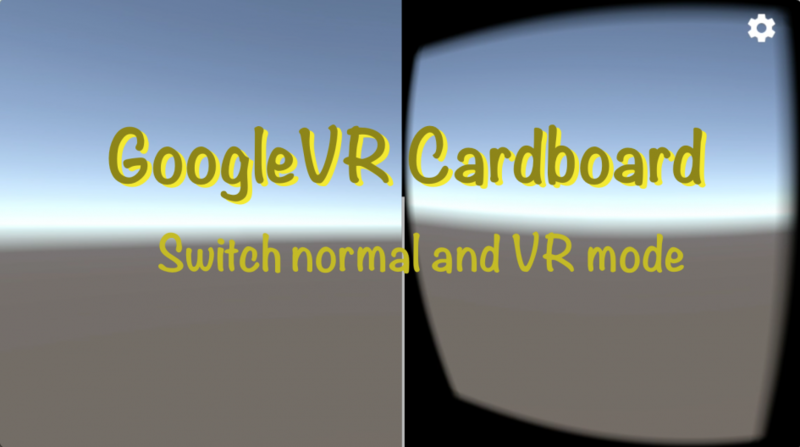 One of the cool features of GoogleVR Cardboard apps is that you can switch from normal mode to VR mode as necessary letting your app bridge the best of both mobile and VR. It can definitely lesson the development burden also having a part that is traditional mobile development and only developing for VR the parts you want in VR. Today I’m going to show you how to do this with Unity3d 5.6 which has cardboard integrated natively in it. But in the current GoogleVR SDK 1.6 the GvrViewer is no longer provided as standard. But that’s ok, because Unity now has a generic way to switch between VR modes – which is great because you may also have additional VR devices to support in the future. Special note: If you set the loaded device to be “None” then the loadedDeviceName property actually returns “” ( an empty string). Please watch the video for a complete step-by-step tutorial. When you select “Virtual Reality Supported” in project settings, it disables your ability to set the orientation. By default this is Automatic auto-rotation – but most likely you don’t want that at all – you will get weird effects (and bugs) if you rotate between landscape/portrait. So, orientation although disabled – does actually behave normally when your VR mode is “None” – so you need temporarily disable “Virtual Reality Supported” checkbox (you won’t lose your settings), go to presentation and choose which orientations you want, then come back and re-enabled the “Virtual Reality Supported” option. Hey, in the old version of the Google VR SDK, when we disabled the viewer, it still rotated and moved with the phone like it was in VR mode. This stopped with the most recent version, Do you know why?